Baltic Cruise to St Petersburg Russia | Search and Save Today! Travel Visa Free, and Discover the Baltic Seas! Thinking of going on a cruise to St Petersburg? If so, search no further. Here you can find information about your Baltic cruise to Russia, get the best deals, and book your tickets online. Whether you're an independent traveler or looking for a romantic weekend getaway to St Petersburg - Russia's "Window to West", and you want to save on a Russian visa, then taking a Baltic cruise ship is your best choice. Baltic Cruises to St Petersburg Russia. It doesn't matter where you come from! If you come by ship or ferry you can travel to St Petersburg Visa Free, if you meet certain requirements of course. In both cases you cannot stay more than 72 hrs on Russian soil, and you need to book a private tour before you arrive. If you arrive by ferry and stay more than one day, you'll also need to include a hotel. However, for those thinking of going on a ferry to St Petersburg, keep in mind that there is only one ferry operator linking Europe to Russia, which is St. Peter Line. So, if you love it or hate it there are no other ferry options available, while for those ship cruise lovers, you've plenty of cruise liner companies to choose from around the world. 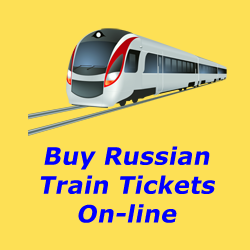 Now, if you've already made up your mind about how to come to Russia's Northern Capital, you know your travel dates, and you're ready to book, then on this page you can search and compare prices on different operators and routes all in one place, and possibly book online with just a few clicks. For your information, I set up this page to help travelers like you make your searching and booking easier and faster. There is no need for you to search further or browse other websites unless you want to. Here there is everything you need to know to cruise to St Petersburg Russia. Ready to start? If so, click on the links below. CRUISE TO ST PETERSBURG RUSSIA MADE EASY! 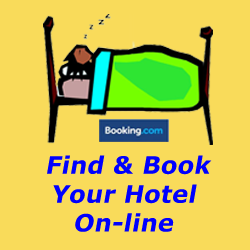 Unfortunately we are not able to provide you with a reliable widget to make your booking. This option is no longer available! Sorry for the inconvenience. Type in the name of the city where you want to board the ferry (for example Stockholm, Helsinki, or Tallinn), choose your travel dates and time, and hit the search button. In a few seconds a new page will load up with a full view of the details of your ferry route. Please note that in the event you get the following message: "There are currently no timetables available for routes selected", it means only that at the moment there are not routes available or up to date on the site, so you must check again. For your information the ferry service provided by St. Piter Line run from the end of April until the end of September or max Middle of October. New routes are usually available to book from March. So when looking for your ferry tickets keep that in mind. Please also note that Helsinki, Stockholm, Tallinn are the only European cities linking to St. Petersburg Russia by ferry. The ship cruise booking system above is provided by CruiseDirect.com. 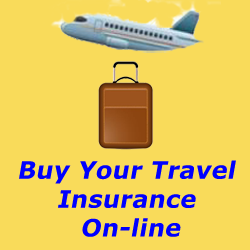 You buy your cruise tickets here and pay securely online. The confirmation email will show the cruise liner operator, port address and check-in time. Along with the confirmation email you'll also receive an emailed invoice with a copy of your tour itinerary. There are no tickets. Check-in and boarding passes will be printed out at the port. In order to do that you will need to quote your reference booking number. Pre-registrations after booking a reservation are only for US or Canadian residents for all cruise lines. You can contact Cruise Direct on 1-888-407-2784 if you need to amend or cancel your booking. You can even use live chat if you have questions. From Costa, Norwegian to Royal Caribbean or Celebrity Cruise, and Carnival, to name just a few, you've plenty of cruise lines to choose from, including several worldwide destinations. For a port call in St Petersburg Russia, from the above drop down menu select Eastern Europe or simply click HERE. Cruise line policy varies from company to company, so for more information about ticketing, insurance, passport and visa, dining, life on board, deposits and final payments, etc, you should see the FAQ page on their websites. You must arrive at the port of St. Petersburg aboard the St. Peter Line Ferry and leave in the same manner. 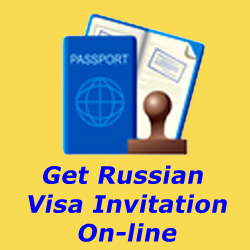 For a one-way trip to St. Petersburg a Russian visa is required. Keep in mind that when booking your round trip cruise ticket with St. Peter Line you also must purchase their city bus shuttle service. A mandatory shuttle bus ticket’s price is 25€ for adults and 12,5€ for children (0-12 years). With this shuttle bus ticket a sightseeing tour program is not compulsory, but you should really think about buying one if you want to make the most of your short stay. Just three days is not enough to cover all St Petersburg's attractions. When travelling on board from Stockholm, Helsinki or Tallinn to St Petersburg you need to present a passport before boarding the ship. Passports must be valid for 6 months after arrival. If you travel on board of Princess Maria and Princess Anastasia with your car, then drivers must hold a Russian visa. If you're going to stay within the Russian Federation territory for longer than 1 day (and surely you'll), you must show to the border guard service your hotel voucher and a confirmation of payment for the booking. Your chosen Hotel must comply with the registration formalities, so before you book a room, ask the hotel staff if they'll take care of the registration process. Please note that if you arrive from outside the Schengen area, you must have a multiple entry Schengen visa to enter back to Sweden, Finland or Estonia after the cruise. 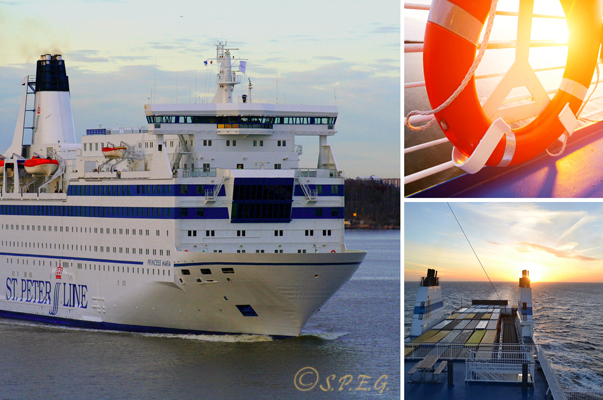 A cruise to St Petersburg from Helsinki takes around 15 hours, while it takes longer from Stockholm. If you prefer to book directly with the St. Peter Line website, you can Google them! Please Note: Unlike the ferry, when you cruise to St Petersburg with a big cruise ship liner you should know that you cannot walk around the city freely, but you need to be accompanied by a guide for the whole time you are on Russian soil. This means from the time you will be picked up at the port until you'll return to the ship. Before you cruise to St Petersburg, make sure your paperwork is in order. To disembark in St Petersburg from a cruise ship, you'll need a valid passport, a photocopy of the photo page of your passport, and a tour voucher, also known as blanket visa. You'll also need a Migration Card, which will usually be distributed on board before docking. Once you disembark from the ship, hand your paperwork to Russian immigration. The official will stamp your passport, keep part of your Migration Card, and hand you a red shore pass. Keep your pass and passport with you for the duration of your visit. As experience of many cruise ship vacationers has shown, private cruise tours are more efficient and reasonable in price as compared to big coach tours offered from the cruise ship. With a private tour you've more flexibility as you decide what to see and do, plus you can tour in comfort with only the people you know. See our list of tours and send us a request today. Book your tours in advance if you can, and do your research. If you have special interests or mobility requirements, or have your heart set on attending a particular concert, show or ballet, then booking in advance will help your operator plan the best experience tailor made to your requirements. It is advisable to return to the ship 3 hours before your scheduled departure. Whatever the season, pack clothes you can easily layer. The weather in St Petersburg is unpredictable, so a rain jacket, long trousers, and fleece are ideal. You’re likely to be doing a lot of walking, sometimes on cobblestones, so make sure your footwear is comfortable. Save the stilettos for dinners and nights out. Be aware but not paranoid about pickpockets and muggers. Just use the same precautions as you would anywhere in the world. From Cruise to St Petersburg return to Ferry to St Petersburg or go back to the Homepage. Like this page? Was the information helpful? Help us grow our website by sharing this page with others. If you’re in the mood to go the extra mile and buy us a drink it will help us to continue to run this website. We appreciate it, thanks! Spasibo!